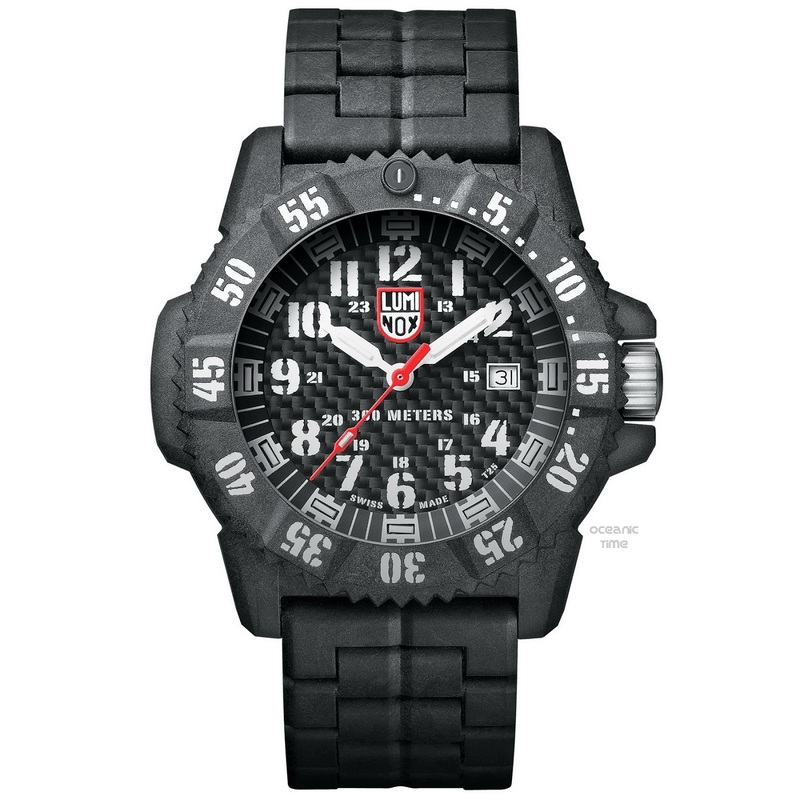 Introducing the new Carbon SEAL 3800 Series from Luminox with its 46mm, 300m water-resistant, high-tech Carbon Compound case. 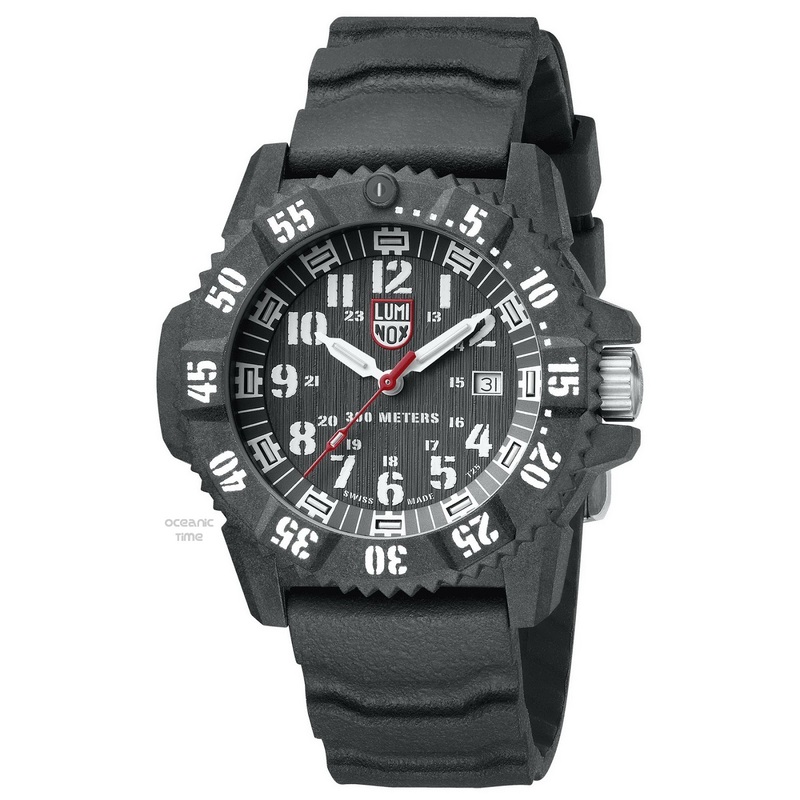 There has been growing trend for Carbon in watchmaking, but Carbon has actually already been used by Luminox for their dive watches for more than a decade, now. However not like this. The new Carbon SEAL 3800 series case is made of a compound using 40% Carbon in bar form. 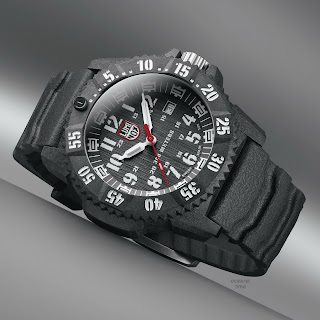 This amount of carbon changes everything, making the case lighter (three times lighter than Titanium), more durable, extremely hypoallergenic, more scratch-resistant than most other materials and more chemical and heat resistant. 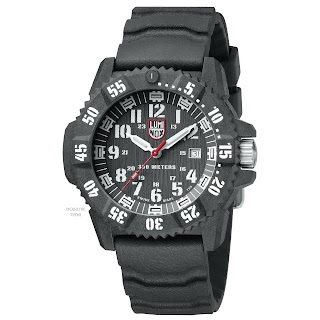 The Carbon SEAL 3800 series has a number of enhanced features and is the latest evolution of the Original Navy SEAL dive watch. It has said ultra-lightweight Carbon Compound case, a Stainless steel screw crown, a multi-jewel Swiss quartz movement and a Sapphire crystal with anti-reflective coatings. 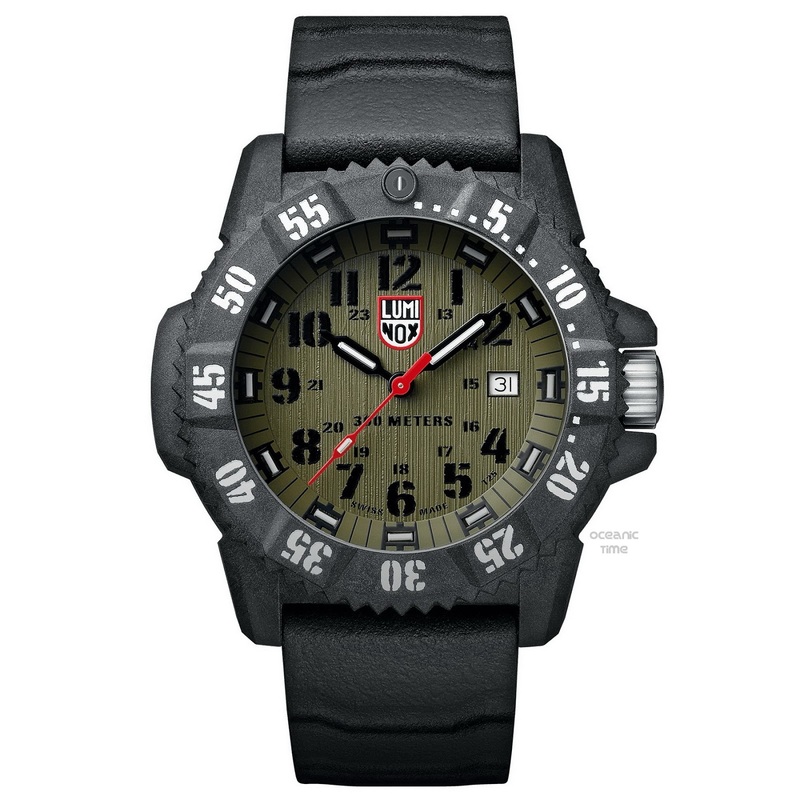 Luminox has been working with and supplying the US Navy SEALs for over 20 years. 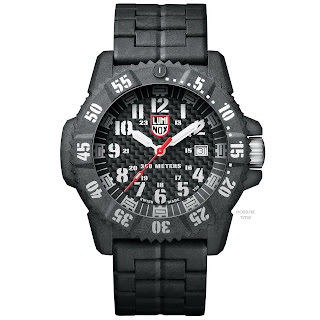 When the SEALs first discovered the unique self-powered illumination technology found in Luminox's watches, they requested a watch series be made for them. 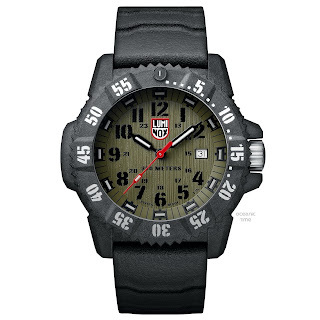 Since then Luminox has continuously updated its line of watches to meet the demanding requirements of the SEAL teams as well as the needs of other elite forces around the world. I don't know about you - SEAL or no SEAL endorsement, I'd be very happy to wear one of these!